Our customized bubbles come in 2 oz bottles. These bubbles bring joy to kids and adults alike at any campaigns or events. 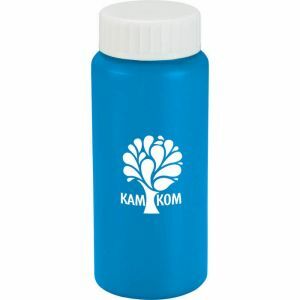 Our branded bubbles can either be imprinted with spot colors or even digitally printed in full color on the bottle caps. For larger imprints, we can also do vibrant full color process labels. They come in logo bubble bottles of all colors. Some even have cute sport themed bottle caps. Make a "burst" at any party with these mega fun printed bubbles! 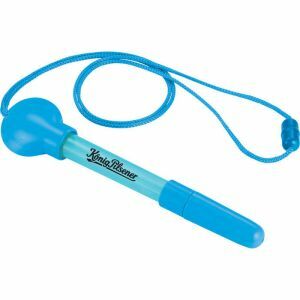 Remember blowing big fat bubbles when you were a child? Bring back those memories again with these nostalgic custom bubbles! Kids love them, and so do adults. They bring out the child in all of us again. 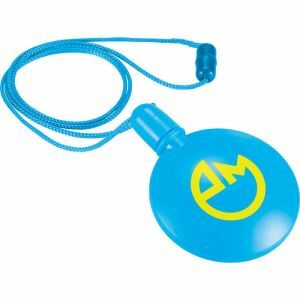 Our promotional bubbles are perfect for all occasions and make any event so much more fun and memorable. See big bubbles being blown outdoors, indoors, at parks, beaches, or any campaign venue. Everybody will be asking: "Where did those bubbles come from? I want one too!" Moreover, the sparkle and joy from the the children's eyes will be priceless as they go about creating floating and flying bubbles. All they need to do is dip their wands into their pretty personalized bubble bottles and blow magical bubbles everywhere. It will be too much fun! 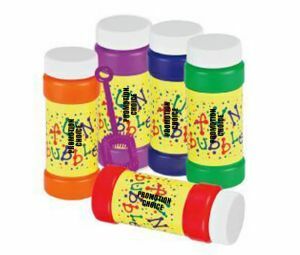 Anybody can have fun with our branded bubbles - kids as young as 3+ to seniors 80 and up will have fun with them. Adults will feel like children again as they blow bubbles and forget their problems and daily stresses. 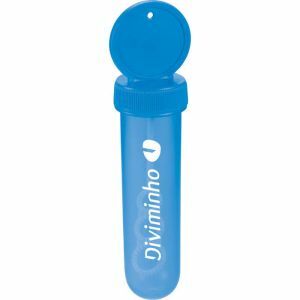 What makes logo bubble bottles or customized bubbles at Promotion Choice so unique? 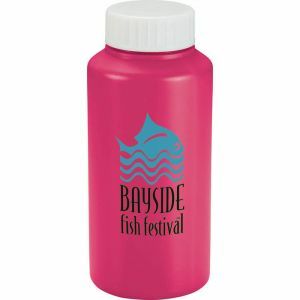 Just take a look at our selection and you will see such great variety in terms of colors (available in assorted, white, yellow, blue, green, orange, red, purple, brown and many more), sizes, and even special bubble sport themed bottles. Our sport bubbles are super cute and come in an assortment of basketball, football, baseball, or soccerball themed caps. They will thrill your customers and their kids. Make your brand name truly stand out by printing your company logo, or design for your party or event onto our print bubble bottles. Place your order today for some imprinted bubbles. They are non-toxic and safe, so no worries for your kids there. Our prices are also super low, and our turnaround time with a free 48 hour rush is also one of the fastest lead times anywhere. 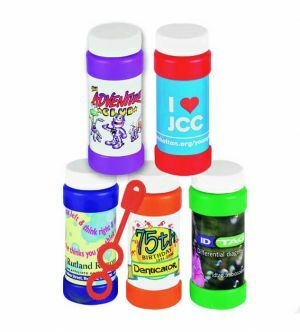 Call PromotionChoice.com now and order your print bubbles with your logo or text message, and your brand name will be remembered for a long time. Our expert customer service agents are standing by to answer any questions you may have. We will also be happy to help you with any virtual mock-ups, or provide you with guidance for your artwork or logo or imprinted text messages. We are looking forward to working with you.